Happy Hanukkah! 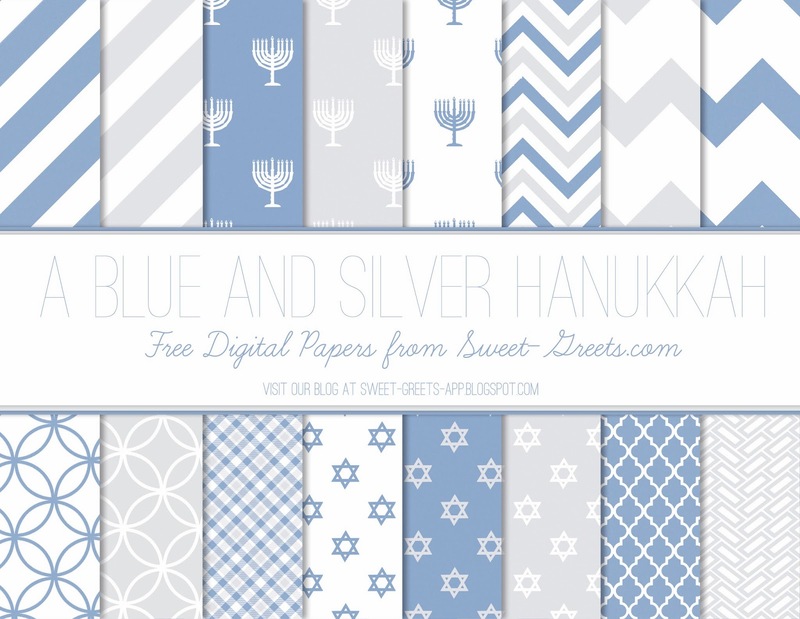 Here's a jumbo set of 16 12x12 inch digital papers featuring Stars of David, menorahs, chevrons and other patterns in festive blue and silver. They are perfect for a variety of Jewish themed scrapbooking, crafting and digital design projects, including Hanukkah, Passover, Bar/Bat Mitzvah and bris or baby naming ceremonies. For more Hanukkah freebies, just follow this link.